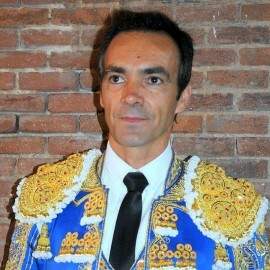 Enrique Ponce Martínez, bullfighter from Valencia, born in Chiva in 1971. 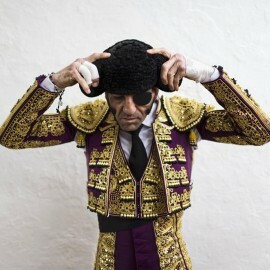 With more than 27 years of alternative, he is one of the indisputable figures of Spanish bullfighting. 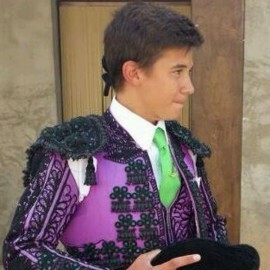 National Award of Bullfighting 2017. 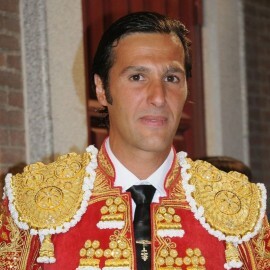 Date of birth: Chiva (Valencia) on December 8th, 1971. 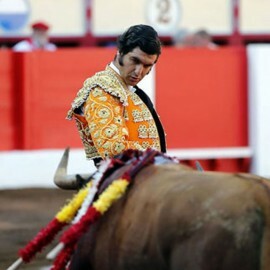 Debut of lights: on August 10th, 1986 in the bullring of Baeza (Jaén). He debuted with picadors: Castellón (Spain), on March 9th, 1988 in a poster completedwith Curro Trillo and José Luis Torres steers Hdros. 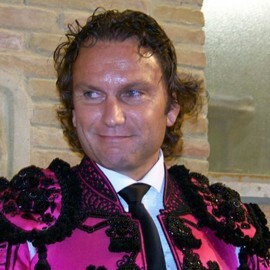 Piriz Bernardino. The debut Sales: on October 1st, 1988 in a poster with Antonio and Domingo Valderrama Punta Pereira bullocks Lupi and Oliveira. 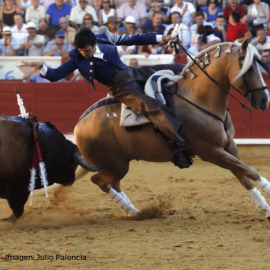 Alternative: Valencia, on March 16th, 1990 Valencia sharing the bill with "Joselito" and "Litri" with bulls Puerta Hnos. 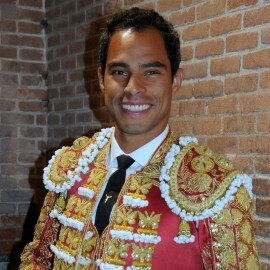 His great uncle was the Valentian bullfighter, Rafael Ponce Navarro “Rafaelillo” (1912-972). 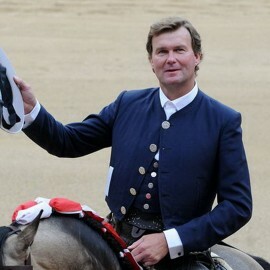 With his refined technique and pure and elegant style. 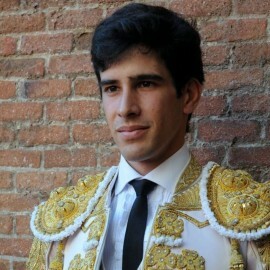 Enrique Ponce is considered to be one of the most important bullfighters of the end of the 20th and beginning of the 21st centuries. 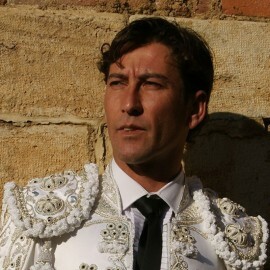 At age ten, he entered the Valentian Bullfighting School (Escuela Taurina de Valencia), debuted in public on August 10, 1986 in the Baeza (Jae’n) bullfighting ring, and on March 9, 1988, he made his equestrian debut in Castellón. 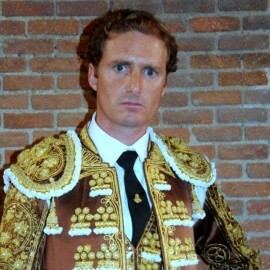 After fighting 101 heifers and cutting 111 ears, he took the “alternativa” on March 16th, 1990 in Valencia at the hands of Jose Miguel Arroyo “Joselito”, and with Miguel Báez “El Litri” as witness. 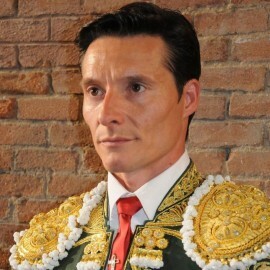 In 1991 he traveled for the first time to the Americas, where he triumphed in Mexico and Venezuela. 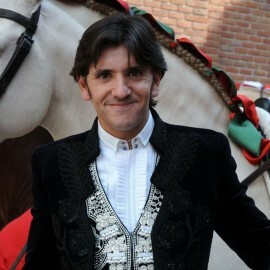 His first triumph was at the international fair in San Sebastian, San Cristóbal. He confirmed his 'alternativa' on October 30, 1990. Since then he has been several times led in the number of bullfights in Spain: 100 in 1992, 110 in 1993, and the highest in 1997. 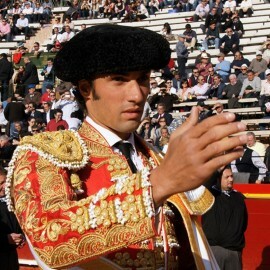 Ponce has fought the highest number of seasons of the one hundred festivals. 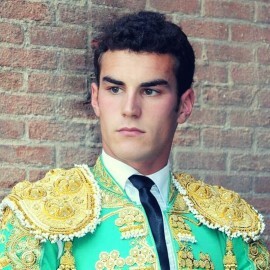 Moreover, he has 'pardoned' (indultado) more bulls than any other bullfighter. 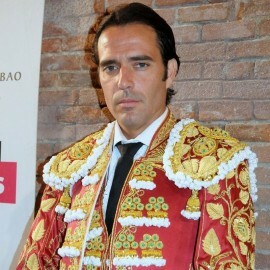 His triumph in 2006 in Seville at the Friday pre-show, is believed by many critics and journalists to be the best bullfight of the April Fair (Feria de Abril). 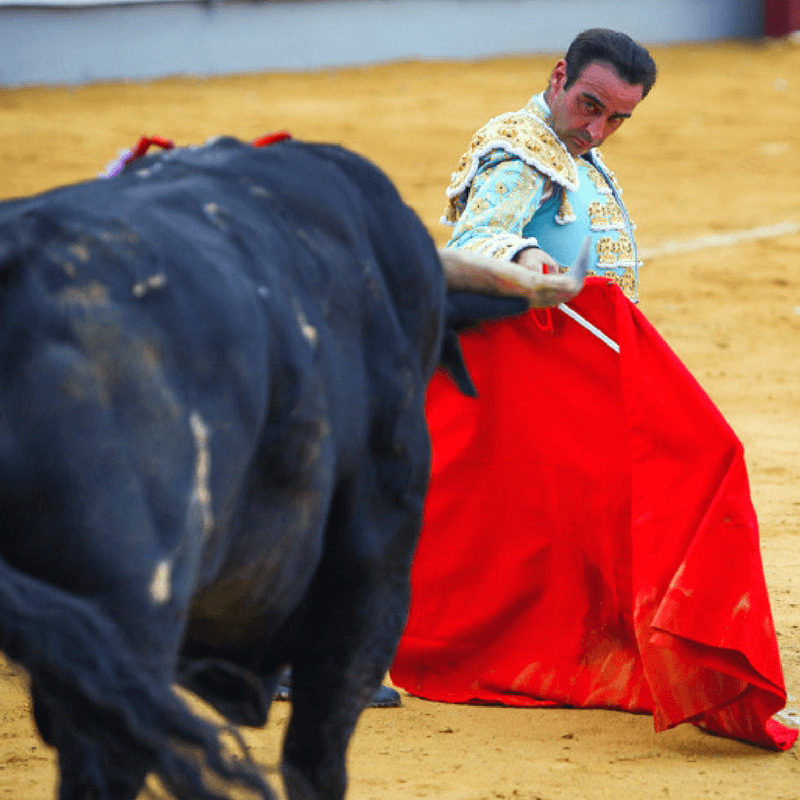 He has also succeeded in cutting a tail, a truly authentic feat, at the demanding bullring in Nimes, France, On Sunday, June 7th, Ponce cut two ears at the Albacete bullring, which demonstrated his solidarity, given it was the Asprona bullfight. 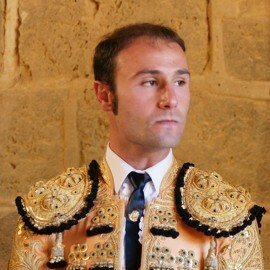 He triumphed in Bilbao in August 2008 by cutting two ears. This earned his exit from the ring on his teammates’ shoulders, fourteen years after his first such exit and the fourth there in his career. 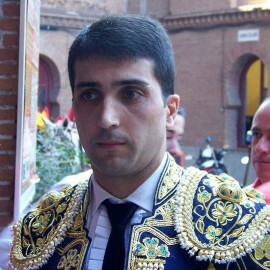 He has left Las Ventas by the main entrance (puerta grande) in 1992, 1996, and 2002. 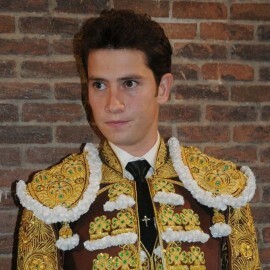 Despite his youth, Enrique Ponce has received various titles and awards. 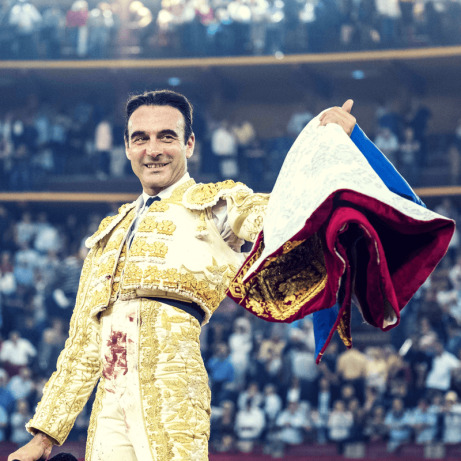 He was the first active matador to be awarded the Fine Arts Gold Medal of Merit (La Medalla de Oro al Merito de las Bellas Artes) in 2007. 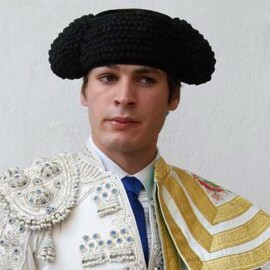 He also possesses a degree from the Cordoba Royal Academy of Sciences, Humanities and “Noble” Arts (Real Academia de Ciencias, Bellas Letras y Nobles Artes). 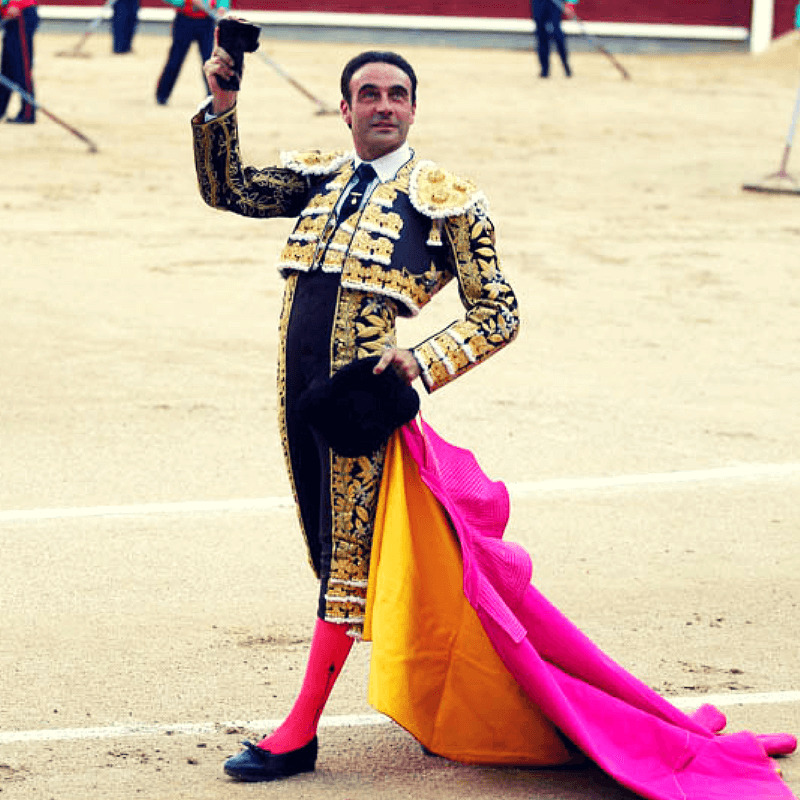 He is the first bullfighter in history to hold such a degree. 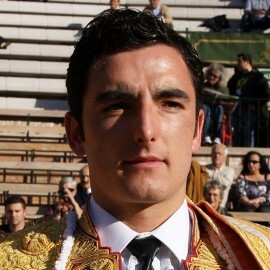 Enrique Ponce has been declared winner of the Fair Magdalena 2016 by the Club Taurino of Castellón, awarded the prizes of greater importance and prestige of the capital of La Plana. 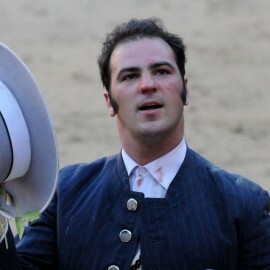 Enrique has the 45th edition of the Trofeo Magdalena, after his performance in this fair, in which he left to shoulders after cutting two ears in the bullfight of Nuñez del Cuvillo. 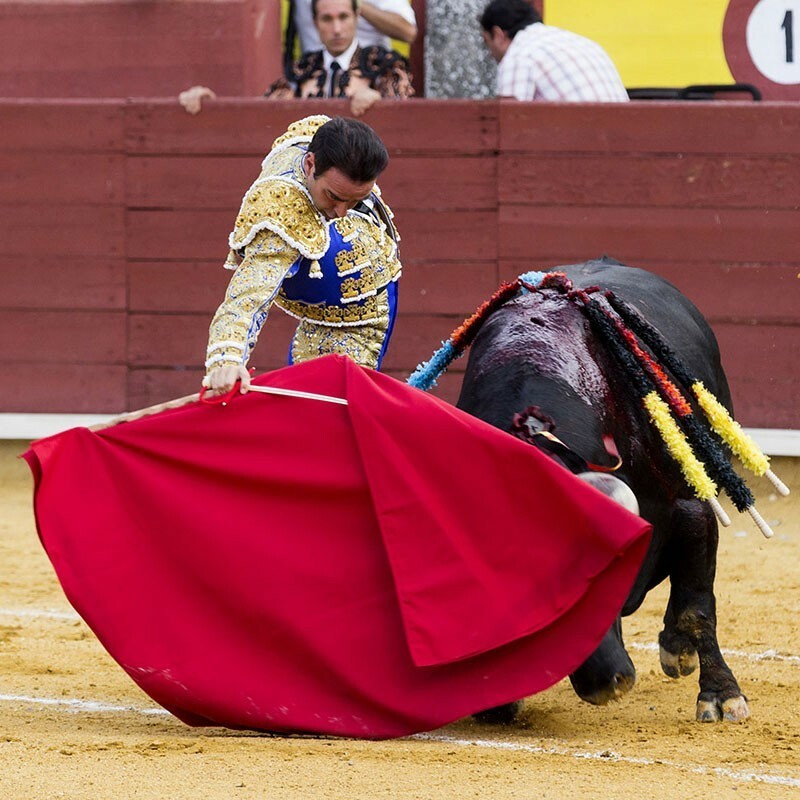 The Taurino Club has declared for the second consecutive year, the trophy "Divisa de Honor", which is awarded to the best bull serial. 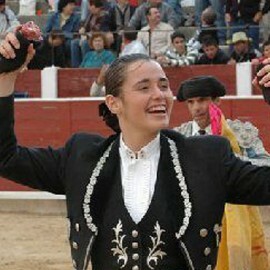 Winner of the 2017 season: Cossío National Trophy, Ercilla Prize of 'Semana Grande' of Bilbao, Capote de Paseo of the Málaga Fair. Wiinner of the 2017 season in Medellín (Colombia), collecting three awards: Mundo de Oro from the newspaper El Mundo, the Página de Plata trophy of the newspaper El Colombiano, and the Cormacarena trophy awarded by the subscribers. 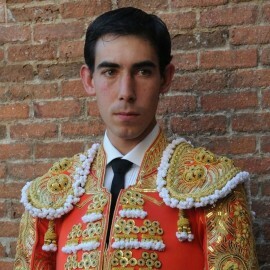 Trophy Catedral de Manizales 2018 after pardoning a bull of Ernesto Gutiérrez. 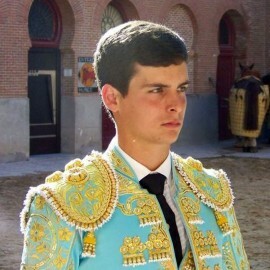 Winner of Olivenza Fair 2018.